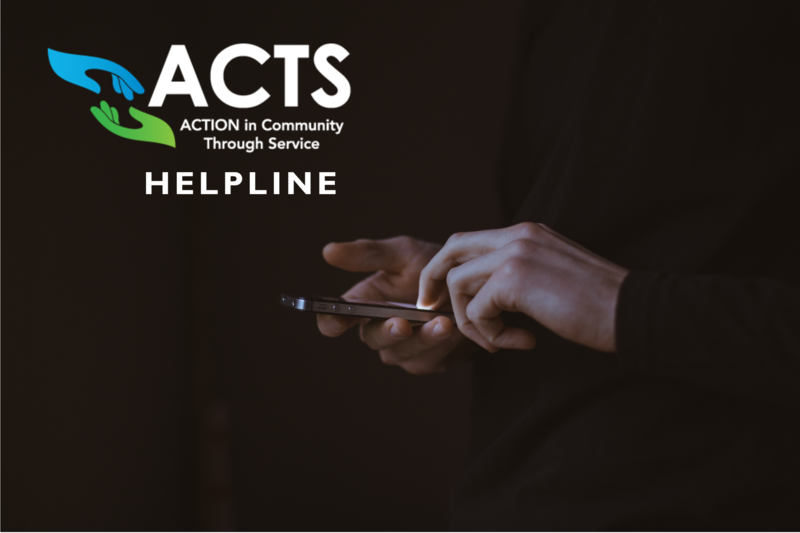 ACTS Helpline responds to a variety of people in crisis throughout the state, country, and the world. Not only do we receive calls from our neighbors in Prince William County, but also from other parts of the US. We’ve even handled calls from Mexico, Canada and London! Other than a person’s accent, it goes to show that some problems are universal. The range of subjects we address is staggering. This could include relationship issues with husbands or wives, transitioning to a new chapter in life, or difficulties with employment. We frequently get calls from people locked in the cycle of domestic violence, looking for a single ray of hope. Depending on how far they want to take it, we can de-escalate, form safety plans, and refer them to direct services in their area. Although we are primarily crisis-oriented, some call because they feel they're alone in the world and have no one. Feeling alone and confused can be a crisis in itself; our training emphasizes how subjective and personal a crisis can be. One of the most anxiety-provoking kinds of calls is dealing with a person experiencing suicidal thoughts. Even after countless hours of training on suicide intervention, staying calm enough to help another person can be tricky. People of all walks of life deal with this issue every day. Whether the caller is a 12-year-old child or an 80-year-old senior, Helpline staff and volunteers are ready to lend a caring ear. The best thing about this service is how private it is, especially if you don’t feel comfortable telling other people about your challenges. We take confidentiality and anonymity very seriously. Of the 9,550 calls the Helpline has received so far this year, 1,825 have been related to suicide, 3,232 involved crisis-related issues, and 2,643 were related to our Senior Link Program, which is a free call reassurance program that provides scheduled phone calls to senior citizens or those who are physically disabled. ACTS began providing the community with a confidential hotline for anyone who had lost hope or needed to talk to someone who cares in 1981. Since then, our Helpline has expanded into a full array of Suicide Prevention Services, all confidential and provided free of charge. If you need someone to talk to, day or night, please call our 24-Hour Crisis Line at (703) 368-4141. We're here to help.